Eastern poison ivy foliage exhibiting smooth leaf margins. 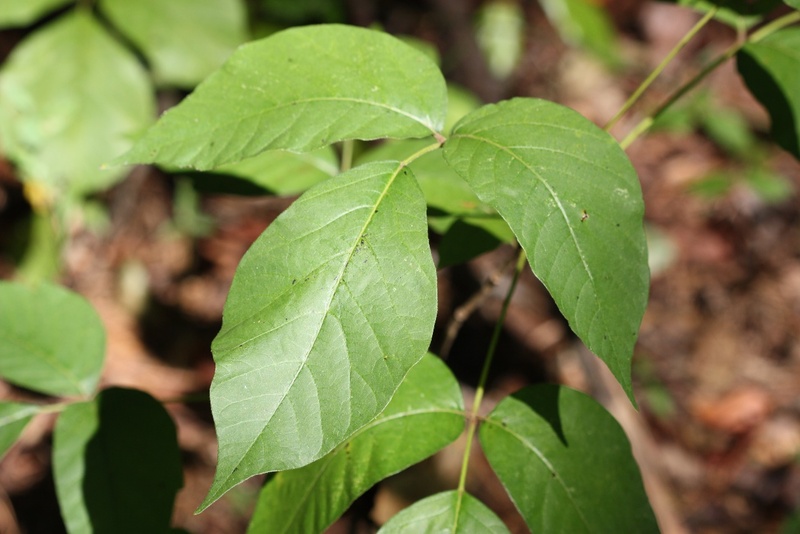 Eastern poison ivy (Toxicodendron radicans) is a woody, perennial vine or small shrub that can be found in fields, pastures, woodlands, farms and home landscapes. As a vine, it attaches itself to trees or other structures with hairy, aerial roots borne along the stem. Poison ivy has compound leaves that occur in threes (trifoliate or three leaflets). The edges of the leaflets can be smooth, wavy, lobed or toothed. Some leaves may resemble oak leaves. Atlantic poison oak (T. pubescens) looks similar to poison ivy, but it generally grows more upright and has hairs on both upper and lower leaf surfaces. 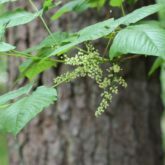 Most mature poison ivy plants will flower and produce clusters of white, waxy fruit. The entire plant is poisonous because all parts contain the irritating oil urushiol. Urushiol is a colorless or slightly yellow oil found in the leaves, stems and roots. The oil can remain active for months on objects. It can be picked up on tools,clothing and the fur of pets. Therefore, anything that may carry the oil should be carefully washed. Even dead plants or roots may cause allergic reactions for a couple of years. Some people are more sensitive than others to the effects of poison ivy. Sensitive people often develop a severe skin rash within hours after contact. Highly allergic people may develop a rash if they inhale smoke when burning poison ivy in brush piles, or if they contact pets with the toxin on their fur. However, sensitivity can change from time to time so that someone who was not affected by it at one time can have a reaction at another time. The plants are most dangerous in spring and summer when oil content is highest. For those sensitive to the oil, a linear rash, resembling small insect bites, will appear within 12 to 48 hours, but a reaction can take up to two weeks to occur. This rash develops into a more severe rash and blisters. Washing with running water is recommended. Washing with soaps that contain oils, such as complexion soaps, can actually spread the irritating oil and make the rash more widespread. Unless the oil is removed from the skin within 10 minutes of exposure, a reaction is inevitable in extremely sensitive individuals. Less sensitive people may have up to four hours to wash it off, although it is generally accepted that the oil binds to the skin in 30 minutes. Thereafter, it is extremely difficult to remove with water. Rubbing alcohol is a better solvent for the oil than is water. There are specially prepared cleansing agents (such as Tecnu Skin Cleanser, Tecnu Extreme Medicated Poison Ivy Scrub, and Zanfel) that remove much of the rash-causing oil if applied to the skin within 4 to 8 hours of contact. Another treatment to help prevent a rash following exposure is with a manganese sulfate solution. A manganese sulfate solution has been shown to be effective both to inactivate urushiol on the skin, to relieve itching, and probably acts as a chelating agent for detoxification of urushiol. Dr. West’s Poison Ivy, Oak, Sumac Cleanser is the most common manganese sulfate solution available for treatment of poison ivy rashes. Ivy Shield, Ivy Block Lotion, and Ivy X Poison Oak Lotion are protective agents for sensitive individuals to reduce the risk of a rash when spending time in areas with these plants. Fall color of Eastern poison ivy. 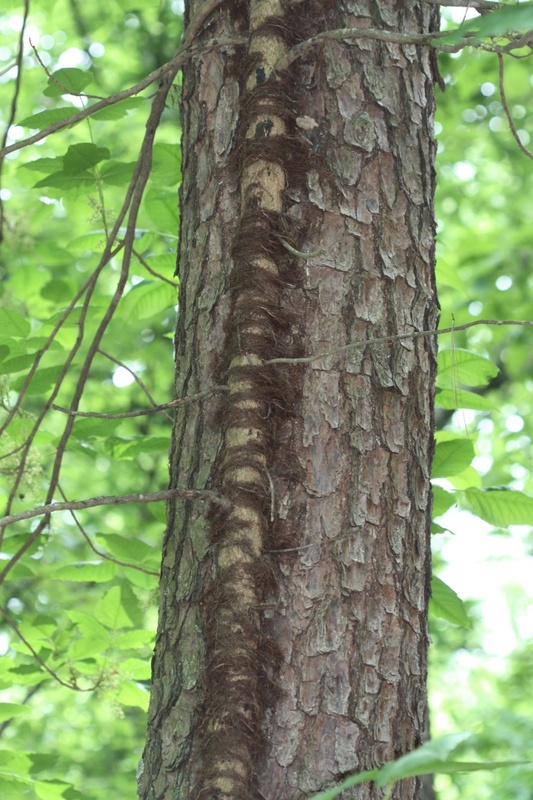 Poison ivy grows fairly quickly and propagates itself by underground rhizomes and seeds. Seeds are quickly spread by birds and other animals that eat the small fruits. Poison ivy can get started in the landscape from a seed dropped by a bird and may quickly become a widespread problem. It often grows in shrubs and groundcovers making it difficult to control. 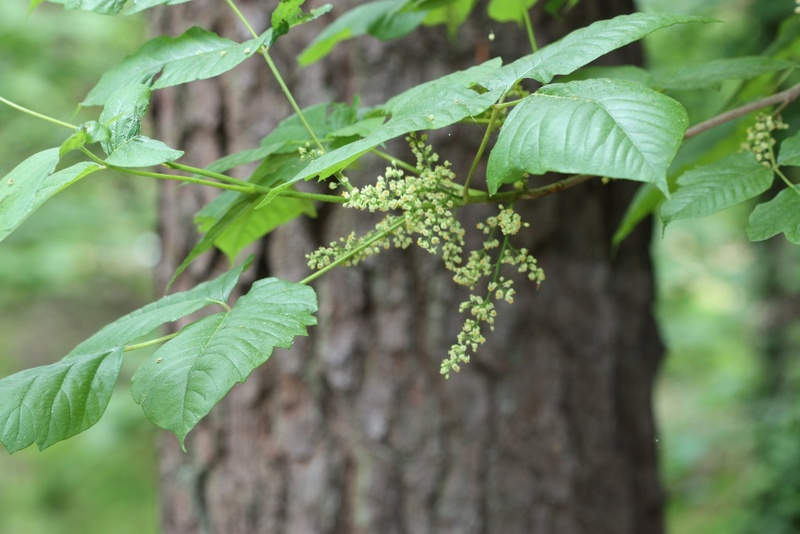 Don’t confuse poison ivy with Virginia creeper (Parthenocissus quinquefolia), which also grows as both a groundcover and climbs trees as a vine. 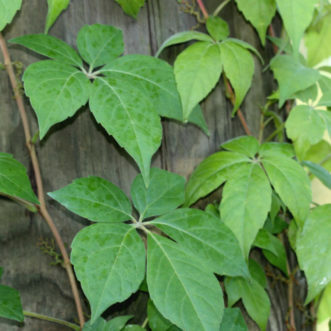 However, Virginia creeper plants have compound leaves with five leaflets rather than three. Virginia creeper (Parthenocissus quinquefolia) has leaves in groups of five. For light infestations, dig up small plants. You can also repeatedly cut back the plants to ground level. Eventually they starve to death. Start cutting early in the spring, about the time leaves unfold. When new growth appears, cut again. Inspect the plants every week or two. 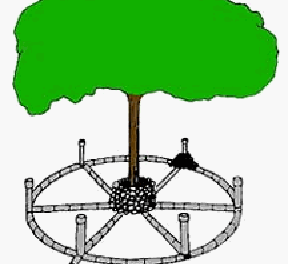 Whenever you see green growth, cut the shoots back to the ground. If you choose to eradicate poison oak or poison ivy by cutting back the plants, you should protect your hands and arms. Always wear a long-sleeved shirt and long pants. Use protective gloves. Launder the clothing separately from the family laundry. Instead of disposable gloves, consider using plastic bags, the long kind that newspapers and bread loaves come in. Slip each hand into a bag and keep the bags secured to your arms with rubber bands. When you have finished cutting, remove the bags by turning them inside out. Then be sure to discard them, because the bags will now be contaminated with urushiol, the oil that causes the allergic skin reaction. To eradicate poison oak and poison ivy chemically, use an herbicide that contains glyphosate, triclopyr, or a 3-way herbicide that contains 2,4-D amine, dicamba, and mecoprop. See Table 1 for products containing these active ingredients. These herbicides can kill desirable plants, so be careful. If the poison ivy or poison oak is growing among plants you want to save, you can cut back the poison ivy or poison oak and spray or paint the herbicide only on the freshly cut stems or stump. If there are no desirable plants nearby, you can spray or paint poison ivy and poison oak without cutting them back first. Read and follow label directions whenever using any herbicides. The herbicides glyphosate, 2,4-D amine, dicamba, mecoprop, and triclopyr are translocated from the leaves and cut stems to the rest of the plant, eventually killing the shoots and roots. Repeated applications may be necessary. Depending on weather and other factors, it may take one to several weeks before you discover whether you have successfully eradicated the plant, so be patient. Herbicides work better when you spray at the right time. Poison ivy and poison oak are most sensitive to 2,4-D amine and dicamba treatments in late spring or early summer when the plants are actively growing rapidly. 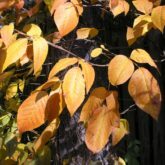 Triclopyr offers the best control after the leaves fully expand in the spring and before leaf color changes in the fall. Glyphosate offers the best control when applied between 2 weeks before and 2 weeks after full bloom (early summer) and should be mixed to a 2% solution. In lawns, many of the 3-way herbicides may be applied to tall fescue, bermudagrass, zoysiagrass, St. Augustinegrass and centipedegrass for poison ivy control. Be sure to read the label for safe use on each turfgrass species and for the amount of product to use per gallon of spray. Applications may be repeated. Triclopyr may be safely applied to tall fescue lawns, and zoysiagrass although some products are not labeled for use on residential lawns. See Table 1 for products. If triclopyr or 2,4-D containing products are applied to lawns for weed control, do not use the clippings for mulch in vegetable gardens or around ornamentals as plant injury or death may result. There are also products that are mixes of 2,4-D, dicamba, and triclopyr that should give enhanced control of poison ivy in lawns and areas that are not near desirable plants. 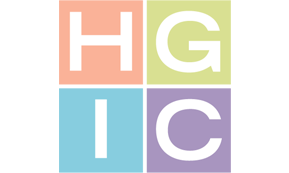 When herbicides are applied to beds intended for future planting of ornamentals, care must be taken as various herbicides may injure the plants to be installed. For planned beds, glyphosate has far less soil activity (a few days) as compared with the 3-way herbicides (a few weeks) and triclopyr (several months). Glyphosate is the safest choice for spray application in existing flower and shrub beds, so long as care is taken to prevent drift to non-target plants. 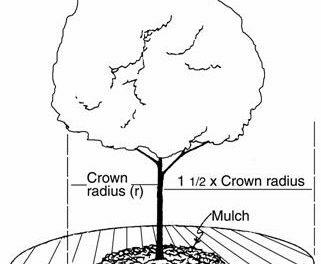 Glyphosate applications are much less apt to move through the soil, be absorbed by roots, and injure existing woody ornamental shrubs. See Table 1 for brands and products. Care must be taken to not allow any of these of these products to touch the foliage, stems or trunks of desirable plants. 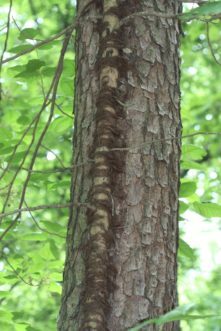 If the bark is thin, many herbicides can move through the bark and into the plant’s food and water transport system (the phloem and xylem elements), and result in severe plant injury or death. Table 1. Examples of Post-emergence Spray Herbicides for Control of Poison Ivy.